Giants - down and out? Barmy summer days have induced Giants out of their comfortable holes in The Yubby (Ebrington Arms) and these Giants have marauded unchecked over Cotswold Hills since the last full moon. Devestation was heaped upon the bravest Knights of The Rowington Table just last week and so it was that the quiet and underestimated Un-wenches of The Lenches started plotting and scheming to overcome The New Yubby Giants in their own backgarden. “If we dare lose the battle to these giants, they may take their challenges on to higher Hills next year, and we may plummet into third division valleys,” warned Alan The White Lord of Lenches. The whole army turned white as The White Lord himself in fear and dread as to what might befall them as they set off from the Lenches as the sun emerged over the Malvern Hills and the cockerel crowed as though it knew of their foolishness. The band of Un-wenches crossed the Avon at the narrow bridge of Bidford and continued their path around the hill of Meon into the barren lands of the Shire (of Campden), before make the steep ascent into Ebrington. Oiled and polished blades out of scabbards, The Mighty Makin took his Rhino into battle. Opening bowler for the Un-wenches was All Cockerel and No Balls. He bowled a maiden over as Rhino adjusted his vision that had focused on small print and the Lady Mandy to whom he is very close all week. Mighty followed Rhino’s lead and played out a maiden too, before the pair got off to a steady start…….But it was just a start. Rhino went at a half volley and Cockerel had him caught at mid-on. The White Lord had gone into battle leading from the front as second opening bowler, but now turned tactician and turned to Turner who gave away a boundary first ball and then five wides. Mighty seemed to be tucking in nicely with a pair of pairs coming later in the over. But then on the 7th ball a devastating blow: Turner changed approach and bowled a straight one and for once Mighty’s blade failed to come down exactly perpendicular to the ground and the ball found its way on to the stumps. Meanwhile The CliMAX-Kid had taken over from the Rhino and was putting Cockerel to task. The White Lord recognised the threat and brought himself back on. He stormed in towards The Kid as though it were something personal and issued a volley of bouncers. The Kid stood firm and dispatched at least one to the boundary with glee, but next the The White Lord speared one a little further from the Kid’s nose. Reaching for it must have been The Kid’s undoing, for the ball ballooned offsome edge or other of this borrowed blade and dropped into the cradling hands of an Un-wench at mid-wicket. The Kid, out for 32 from 22 balls, had produced an attractive cameo only and the Un-wenches of The Lenches were firmly on top of The Giants of Ebrington Hill. Now The Face was jumping about to get behind The White Lord’s missiles, yet was no chicken when it came to playing the steadier Cockerel. Duckie too found his feathered friend easy to combat, but for him the pitch held the demons. The ball seemed to pop and spit onto his bat and his drives kept on going aerial, with hapless Un-wenches spill chances on several occasions. Duckie seemed set to make the most of this fortune and just bashed Earl Protherough for a second MAXimum when one skidded on and cannoned onto his padded legs in front of all three. A contribution of 37 was good but The Giants had wanted more from Duckie, who is considered a Giant amongst Giants. The Face was good for 54, but not good enough for more and so both departed after failing to bring up a century partnership by only two runs. Pee Pee troubled not the scorers and this brought Skeletor together with Tommo. There were 10 overs left to play and the pair had not faced such an ordeal since the early season. Timing was non-existent and nerves abounded as these Giants tried to accumulate as well as survive. After seven of these overs the Double Hundred Target was almost achieved and Tommo said, “I just want to break free!” For a moment Tommo took on the appearance of Freddie Mercury in Skeletor’s eyes. His bat became a vacuum cleaner and his abdominal protector an apron. The apparition did not last, he took such a fancy to McNally’s leggies that he almost joined him in the follow through. Such exuberance was doomed to fail and Tommo found himself back in the pavilion having to peel off the housework attire. Squealer and Can Dross came and went and finally Bomber and Skeletor secured a pointless unbeaten partnership of zero, which kept the final tally on 210. The Giants ate like only Giants can and Un-wenches nibbled nervously on cucumber sandwiches until it was time for the battle to recommence. Once more at the fore was Lord White, but this time opening with McNally whose leggies had moved prodigiously when bowling, but barely twitched when batting. Yet The Kid and Can Dross could not find the necessary inswinging yorker and only fed the scything blade outside off stump. On this occasional Can lived up to his middle name of ‘bowl’, so G-odd brought The Skeletor into the attack. McNally raced to 20, surviving 6 leg before appeals in one over from Skeletor who was determined to pepper leg stump, though umpire Bunny Baldwin could not see it, so G-odd changed approach and put the slowest Giant on. Squealer confused McNally with on one middle stump, and McNallly King of Scotland (an ex-pat) was glad to get away from the humourless Face behind who had still not forgotten McNally had been given a reprieve after playing on to The Kid by the latest ever “no ball” call. Now the bowling was switched around as G-odd tried to find a chink in the armour of The White Lord. Whether fast bowling, slow bowling, medium paced bowling, short pitched bowling, full length bowling or good length bowling the ball seemed to hone in on the middle of the glinting blade of The White Lord. Being the month of The Duckie, The Giants hoped that his introduction at drinks would inspire a collapse amongst the Un-wenches of The Lenches, but in Earl Turrell, The Lord had found a solid partner. His forward defence was as impenetrable as the walls of Warwick Castle and if you dropped it short (and The Giants had an uncanny knack of so doing) he pulled you mercilessly to deep mid-wicket. The White Lord must have had two thirds the runs of the Un-wenches when he was finally caught and bowled by Duckie, but his score was 110. The job was nearly done. Earl Protherough nearly got away with a thick nick off Duckie as The Giants seemed hardly to have the spirit to appeal, perhaps feeling they had been so badly served by the umpires during this The Battle of Ebrington Hill. Grudgingly he was given out and Friar Williams looked shaky but the good Lord (not White) and fortune stayed with him till he had scored 13 when he became Duckie’s third victim. Earl Turrell brought up his half century with another pull and Turner after playing and missing for a whole over of Duckie’s leggies got a thick outside edge for a boundary to third man. It was left to The Face to concede the losing runs. The Un-wenches of The Lenches had produced a remarkable victory for mankind over the immortal Giants by 6 wickets with five over left and the people of The Cotswold Hills are left safer for the coming winter after which The Giants may re-group and threatening warmth of spring may entice them once more out of their homely holes at The Yubby. What’s big and black and helps you enjoy your Saturday afternoon?..............Come to the Yubby’s ground to see the answer. Cider covered his pride and joy with it and Giants Duckie, Tommo, The Kid and Skeletor whipped it off before play on Saturday morning. An hour to later seven more inquisitive Giants rolled up to see what was going on in the Shire on this unpleasant blustery day. Spirits rose as mortals in white arrived before rain clouds and without much ado a competition was underway. The Camp Hill Cricketers Lord Braithwaite and his Liege Colin Jones strode manfully to the wicket, but The CliMAX-Kid at the end of his long run could only chortle at their impudence. “Make contact with my thunderbolts! No chance!” mumbled The Kid as he galloped down the hill. Thud……. Thud…..Thud…… went delivery after delivery into Super Sopper’s gloved (and webbed) hands. Tommo showed that no hill was too much for him as went up one to bowl, but neither this Ebrington Express nor The Kid could make a breakthrough. Perplexed Pete The Skeletor next turned to Cross to boss the game and he duly obliged, inducing Lord Braithwaite to play with a leading edge and skying it to Supper Sopper. From then Skeletor switched things frenetically, letting neither batters, bowlers and particularly scorers settle. He tried seven bowlers before drinks at 22 overs and had G-odd bowled his usual tripe even Rhino would have had a chance to charge in. Drinks had to be an opportunity to regroup for the Giants who were facing an onslaught from The Camp Cricketers who had nine wickets in hand. Hill of the Hill was nicely established on 34 whilst Liege Jones was still playing second fiddle on 15. Now Skeletor pulled out his trump card; Hicksy-Lix. In a flash, Hill of The Hill was walking back up the hill to the pavilion. Camp Hill brought out a Whale from the depths of the ocean, but he was too eager to come up for air and found The Face clutching his lofted drive before he had double figures. The partnership of Hicksy-Lix and Duckie amused Skeletor who decided to run with this bowling combination a little longer. Lix help Duckie by diving in for a catch at point and Duckie maintained immense pressure by hardly conceding a run. Lix was at times hittable, but at others unplayable and found his way through the portcullis of three subsequent Knights of Camp Hill. Four wickets to Hicksy-Lix for just 25 runs was remarkable, but Duckie was in no mood to be outdone. He rushed through three more wickets in four balls and claimed the incredible return of 9 overs, four for only 10 runs. Camp Hill were scuttled out in just 38 overs, losing 8 wickets for 41 in the 16 overs after drinks. The set The Yubby Giants 119 to win, only made formidable but the dark clouds closing in on the Station Road Ground. Bunny, officiating, made the offer of a little more jousting before tea, which was eagerly accepted by Skeletor for no other reason than he was suffering the most fearful dyspepsia (indigestion). He thrust The CliMAX-Kid and Duckie into the fray first, to the disgust of Hicksy-Lix and The Face whose opening partnership (3) down on the banks of the Avon the week before had established a platform from which The Yubby Giants had recorded a famous win. Super Sopper, down at three, really did not want to have to bat either side of sandwiches and so the pressure was on the boy and the bird to do it all themselves. Restricted to three overs of thunderbolts, The Kid had loads of pent up energy and he immediately climbed into The Hill, opening his account with a MAXimum. Recalling the spirit of CliMAX, Duckie started with a MAXimum too. Then the pair went into their shells finding only simple boundaries and even singles for several overs. Yet still the score mounted and with tea threatening to commence after 10 overs, the pair had 50 after only 5 overs. If this was not fast enough, Duckie picked up three more MAXima and raced to his own half century. When tea was due the score was 102 and Bunny saw no value in coming off with so little left in the game. Selflessly Lord Braithwaite agreed to stay out a little longer. The prize of 23 points was grasped with two more overs by Duckie who made 71* and The CliMAX-Kid with 38*. Super Sopper and the other Giants were then able to gorge themselves on a feast from The Ebrington Arms without fear of exertion causing indigestion in the aftermath. By six and well before the sunset over The Shire, they were tucked up at The Yubby supping mead exchanging gold and silver coins for humiliations dished out by The Master of Fines –Hicksy-Lix. Giants do not like a lot of noise and fuss and so near to lunch on Saturday they slipped out of their secret homes around the Ebrington Arms and stealthily disappeared from Shire of Campden before the Ebrington Village Fete kicked off. In Knights Lane near the banks of the Avon, past the castles of Tiddington Road they found a bunch of mortals who wanted to match their skills at jousting, archery or even cricket. These mortals had produced bags of gold in the financial industry and spent some wisely on a fine arena for sporting contest. The occasion was too much for The Yubby Giants to turn up and so they set about these mortals who go by the curious name of The FISSC-ies. G-Odd was pensive as the gold coin rotated through the bright sunlit air. He had murmured. “heads”, but knew the chances of being right were no better than the chances of being wrong. Mortal Ainscough of Stratford was first to spot that Queen Elizabeth II was staring along the tightly trimmed grass surface. “We’ll bat,” grunted G-Odd. “No surprise there,” protested Sir Ainscough. If that was the only thing G-Odd was to do all afternoon, it was still a very big thing – even for a Giant. The other Yubby Giants could have hugged and kissed him, but that giants are taught not to show signs of affection with outpourings of physicality. After record scores against The WoodenTops last week G-odd kept the top three the same. Hicksy-Lix might have made his third consecutive half century, but he did not when his own castle was toppled by Sir Malcom who replaced Sir Kemp at the tennis court end. This brought The CliMAX-Kid to the crease. He looked even more secure than during his innings of 170 against the WoodenTops as he passed 50 in just 46 balls. This week he was beaten to the landmark by The Face, a giant who has grown in stature in the last three weeks. The Kid hit one enormous MAXimum that must have worried the FISSC-ies as they saw the ball head towards their own distance and impressive fortress through the trees. Yet it was his straight drive off veteran Lord Pigott that was the shot of the innings, but this was followed by a masterstroke by the mortal who managed to hold the next one back enough to find the leading edge which flew over mid-on where an unnamed mortal got into an awful pickle before leaping backwards like a flying fish out of water to take an unlikely catch in one hand to break a partnership of giants that had accumulated 116 runs. Duckie, batting with the middle order produced a scintillating innings, managing four MAXima and eight fours on his way to 78 in 53 balls whilst the middle and late order fell away too easily. Nevertheless the run rate was maintained and The Yubby Giants finished with an impressive 286 with Sir Stokes taking a wicket with the final ball to leave Ebrington all out. Stokes figures in this final spell were 3 overs 3 wickets for nine runs, which made up for going for 49 from his first seven overs. Sir Stokes of Stratford set about chasing down this total after a banquet was devoured by the hungry contestants. He raced to 22, with Skeletor feeling the brunt of his stroke play, before The Kid bowled him through the portcullis. Sir French of France was more restrained and eventual chipped one to extra cover from the first change bowler Pee-Pee for just one run. Lord Pigott then provided 30 overs mortal threat to The Yubby Giants whilst Sir Malcolm provided solid support. The CliMAX-Kid had to be brought back to make further inroads through the FISSC-ies, but his two wickets only brought in Baron Wilson who began to torment the bowlers with his aerial driving. Meanwhile the dangerous combination made with Lord Pigott was soon separated by a catch in the deep by Spenny off Skeletor. He had made 64 runs, but this was not to be the last half century of a remarkable game. Baron Wilson continued to plunder runs, particularly crossing the boundary toward the distant river, even when victory was out of sight, but was finally removed for 55 by The Kid in his third spell. This gave The Kid final figures of five for 34 from his ten overs and the FISSC-ies had fallen 51 runs short running out of overs on 235 for 9. The contest had finished in the gloom, having used up all possible 90 overs, so like CliMAX wasted not one possible opportunity. Is this Inferno The Bat of CliMAX ? After nearly 1400 runs from the bat of The CliMAX-Kid Nat Gregory in 2012, his beloved and perfectly balanced Inferno cricket bat gave up the ghost at the end of May. This weekend the new hand crafted blade by Richard, bat maker at V Sports in Coventry, was knocked in and ready to blaze into 2013. The CliMAX-Kid was held back from his usual opening spot whilst The Face of CliMAX, Josh Collins and CliMAX all-rounder James Hicksy-Lix blunted the Woodbourne pace attack that included 2012 award winning seamer Rooney. An opening stand of 54 at nearly a run a ball paved the way for The CliMAX-Kid. The Kid started steadily as he checked the new Inferno had the same pick-up as his previous bat. Soon he knew he liked it, but equally soon the WoodenTot fielders knew they did not. Nineteen times this Inferno sent the ball flying past them for four and on eight further occasions the ball soared over their heads for MAXimum value. Drives, cuts, hooks, pulls and sweeps all found the middle of the new bat and by tea The CliMAX-Kid had 170 runs to his name alone. Hicksy-Lix made 66, to add to 64 against the same opposition the previous week, and Super Soppy Sippy made a quick fire half century before hobbling off retired hurt. The Yubby Giants had amassed 341 from their 45 overs and lost only 4 wickets (scorecard). Tommo Thompson was asked to use his swing-ability as number one bowler, whist Tom Duckie Clarkson would ‘rip it’ from the other end. Duckie produced an unplayable leg break to rid one Woody opener, whilst Tommo had Duckie assisting him with a slip catch to have the other one out. Tommo followed up with a swinging yorker for his second wicket. The Kid and Hicksy-Lix were having a bit of rest in the slip cordon, when G-Odd requested Hicksy-Lix try something new. Instead of charging in and bowling express pace, he asked Hicksy-Lix to try some finger spin. “Oh yes, please.” said Hicksy-Lix with a twinkle in his eye. ……….Within a seven overs he had picked up 5 wickets for 30 runs and he must think he will never have to break sweat again! Hicksy-Lix was helped by Yubby catching. The Face made excellent ground to run back from mid-on to deep midwicket to catch one WoodenTop, but it was Hicksy-Lix who snaffled the last Woodbourne batter diving and catching one handed off The CliMAX-Kid. Hicksy-Lix is claiming man-of the-match with 66 runs, 5 wicket for 30 and a catch. The CliMAX-Kid makes his own claim with 170 runs, 1 wicket for just 5 and a run out of The WoodenTop captain who was ambling a single when The Kid’s throw came from long-off to the bowlers end making a direct hit. Tanworth in Arden and Camphill (TACH) combined forces for cricket four or five years ago and now play all their first and second team cricket at the Tanworth site, but the newly formed cricket club seem to be going through a rebuilding phase. Only three of the players that beat Yubby in the 2012 league clash were on show yesterday and, as withYubby, illness struck late Saturday morning such that neither team fielded a full team of eleven. The CliMAX-Kid had been dragged from the sick bay, but with tonsils the size or pair of Dolly Parton’s… and a temperature like that of an erupting Mount Vesuvius, the opening bowling duties were diverted onto the broad scapulae of Skeletor. Up to the challenge, Skeletor enticed N Shah who was fresh from a century last week, to drive hard and straight. But Shah neither selected the route along the ground nor the one over the top, and so he found the giant of a bowler was also a gigantic fielder and with his phalanges pointing skyward, Skeletor gratefully allowed the missile to nestle amongst his metacarpals. Bemused Shah departed. Crissy Crossy replaced Hicksy-Lix in the 11th over with the score only 15 and soon had A Shah bowled. Opener I Jordan was struggling to score and was on two when Duckie found favour in his appeal for Leg Before. The Kid, seeing wickets fall easily, felt the benefit of some paracetamol and announced he had a ‘phased return-to-action’ certificate from the doctor and would bowl a couple of overs. The other umpire Bunny Baldwin was unable to give Scott out LBW when he was stone dead, because The Kid went to appeal with arms aloft and mouth agape, but not a sound came out. Streptoccoci had made their way south and now impaired his vocal cords as well. But Bunny is on a roll for LBW decisions and an over later, The Kid – also a giant – produced an identical delivery and this time the other 9 Yubbites appealed for him. Bunny’s finger aloft, Scott was on his way….back to the Antartic. At 24 for 4 after 15 overs, the giants felt on top, but I Khan was having none of it. He advanced on Duckie and cover drove Crissy, with defensive support from his captain Braithwaite. For more than fifteen overs the pair piled on runs and G-odd ran through various options:- Could The Face reveal his Golden Arm once more? Did The Kid have something up his sleeve other than a box of Nurofen-Plus? The answers were strangely negative and the score had galloped on to 97, and G-odd felt his bowling option cupboard looking a little bare (just the bones), when he turned back to the wizened Skeletor. The seamer set back his straight men to long-off and long-on and determined not to give Khan any width for his expansive drives. The plan took a couple of balls to take shape, but when it did Khan drove high and between The Kid and The Face set either side of the sight-screen. The Kid hung back, fanning his brow to bring his temperature down, whist The Face skipped daintily around the sight- screen and positioned himself under the plummeting ball. “Ha Ha”, chortled The Face of a Giant when he realised he had the catch. “Ha Ha” echoed the eight teammates from Ebrington, whilst The Kid, who could not, sent round a text, “LOL”. In the presence of such monsters, thinking can become muddled. R Khan drove to mid-on and saw a single. The Colossal Kid did not, he picked up cleanly (i.e. without nasal secretions on his hands) and took aim and from 30 years blew middle stump out of the ground. “Ho Ho Howzat” shouted Sippy among the flying bails, “Ho Ho H-out”, mubbled Bunny as he scampered in from square leg to realign the tackle. All of a sudden the TACH innings was over and the score just 115. Flighty Keyty had missed out on a spell of bowling with Dexter (Sixfer) needing just 3 balls to remove last man N Aston. But G-odd had a plan for Flighty. He has all-round talents and some of the skill that do not relate to his work with young people were revealed by being thrust into the forefront of the Yubby batting order. G-odd created a new opening partnership of Rhino and Flighty. The African beast blunted the pace of Khan whilst Flighty (The Paxford Beast) stroked Whale around the park. Yubby had made a good start to their innings before the ambition of Flighty got ahead of him and he was bowled for 10. Duckie dealt in boundaries and already had seven when he feathered one to the keeper. He was out for 40 but the game was in the bag. Rhino had played on for 11 and Hicksy-Lix had promised much until bowled for 16. This left the usual openers, Sickly Sippy (18) and The Contagious Kid (5) to get together and make sure the required runs were added to secure a welcome victory. The Giants climbed back up the beanstalk and went to check their Golden Eggs were safe at the Ebrington Arms where flagons of cider awaited them. Even Jack was allowed a thimbleful, but he did have to show photo-identification to prove his age! Did umpire raise finger because of nose bleed? The Yubsters crawled out of bed following a night of Skuttlebrook revelries and straight into the luxury minibus of Pete Malkin, which tootled off to Painswick on Sunday morning. The sun shone brightly over the Gloucestershire countryside as Duckie led his troops to inspect the pitch. “It looks very good to bat on”, said Super Sopper beginning to dream of three figures against his name. Soon he and Digger were to have their chance as Duckie won the toss and chose to bat. Despite the fine even and dry appearance, the ball would not bounce, and Digger need to get low and block repeated pea rollers. Neither Digger or Sippy could find any rhythm and both perished in the 40s. Wickets in hand and explosive batting to come, but still the Yubsters could not convert the solid start to a formidable total. Beefy showed what might come when he cleared the ropes with a ‘roid fuelled drive, but still only 177 were scored in the 40 overs allowed in the Cricketer Village Cup. Yet 24 hours is a long time in the life of a mediocre sportsman and Skeletor was transformed from his lack lustre Saturday performance to a venomous display on Sunday. In his first new-ball spell the ball rarely left the ground after pitching surprisingly close to a line and length. This probably accounted for the error made by Painswick number three who attempted to pull a short one which happened to balloon up above waist height and the under edge achieved was enough to see the ball cannon on to the base of his stumps. Bunny Baldwin was troubled by a nose bleed and this probably was induced by two vociferous appeals by Yubby bowlers. Each time he tried to stem the flow by raising his finger to insert it into his nostril. This desperate first aid measure was misinterpreted by Painswick batters whose disgruntled batters body language was of disbelief, but sportingly they trudged off towards the hutch without audible complaint. But all this brought in MegaMAX Harber. He demonstrated that it is not only Yubsters that have benefited from CliMAX experience. Since heaving six consecutive MAXIma in an over during the Hatherley and Reddings CliMAX-Sixes in 2010, the Painswick all-rounder and revered member of the CliMAX-community has never looked back. His most recent honours include Painswick first team Player of the Year for 2012. By now Harber knew this wicket and he also knew his own game. The ‘Harber Process’ was when the ball was in his arc to swing long hard and straight. Time and again his judgement was impeccable. 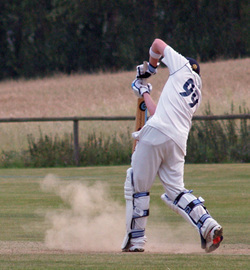 Whilst all other players on both teams had difficulty breaking out of the shackles of the inner ring, Harber could not be contained by the boundary. The MegaMAX man plundered many a MAXimum and no bowler was spared. Almost alone Harber closed in on the Yubby total. But Dan Moore was not going to give up, nagging away on off stump he eventually got one through Harber’s defence and Harber was bowled with 20 runs still to get. Now the Yubsters dreamt of miracles – like hatricks or maidens – but none were forthcoming and they soon they were shaking hands with a superior Painswick side and politely congratulating them and wishing them well for the rest of the competition. As Pete Malkin drove the team home, the Yubsters could but wonder if the Crissy Crossy, Spenny, The CliMAX-Kid or spin kings Squealer and Sixfer had been missed. However disappointed the Yubster are they must take comfort in being beaten by one player who three for 35 and scored 77 runs; James Harber. He must surely be the King of CliMAX. Last Saturday Skeletor took 4 wickets, scored a crucial 23 runs and took two catches, but “form is temporary and class is permanent” and being devoid of both meat on the bone and class, Skeletor produced and abject performance that would have been no worse had he played this Saturday’s crucial match versus top of the table Bidford upon Avon whilst still lying in the mortuary. However Sixfer, started with some fine batting last week in front of a nervous flock of sheep, continued in the absence of bleating at Manor Road and produced 38 runs from number 9. He came to join Tommo at the crease when Yubby has stuttered to 46 for 7 on a damp pitch. The pair put on 51 with Tommo’s contribution 27 and Sixfer manager one MAXimum in his 38. Last minute selectee Hairs II (Tyler) produced further support for Sixfer as the first batting point was achieved, but finally Yubby slipped quietly out for 122 in the last over. Bidford ate tea confidently, but though Yubby knew they had hopelessly underperformed they knew there were sufficient devils in the pitch to cause some flutters in the Bidford batters. The CliMAX-Kid managed to extract pace out of the docile pitch he claimed a wicket in each of 3 spells. 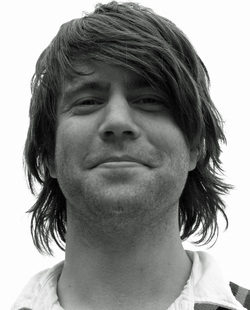 Tommo converted his patient batting into aggressive bowling and deceived 4 Bidfordians, but also was responsible for the downfall of the dangerous Rouse run out at the bowlers end from Tommo’s accurate throw from the boundary after carting Skeletor’s first ball – a slow long hop – over midwicket. The run out was assisted by Downey’s inexplicable decision to send Rouse, who wanted two, back. Rouse used his remaining energies to attempt to dismantle the wooden pavilion at Manor Road. Thankfully he was unsuccessful. The Face of CliMAX provided control in the middle overs as he provided the benefit of taking pace off the ball. Perhaps G-odd was wrong to remove him from the attack when he had two overs to go and having bowled 8 overs for 16 runs. He had also removed Edkins, a skimming drive caught well by Digger Chambers at mid-off. Although The Kid bowled out Bidford’s 9th wicket Hicksy-Lix was labouring up the hill and the unnamed number 11 found the boundary with flowing shots. With Bidford now scrambling to 117, G-odd pushed JC(B) back towards the Paxford boundary. The unnamed one swung at a length ball again. He connected and the ball sailed up and towards The Digger at long-on. Diggers chin went up as he kept an eye on it, his hands twitch, his heels left the ground, but all to no avail, the ball had legs on it, it kept going …and going until it thudded safely into the soft mud of the field beyond. Slowly the dismissed Bidford batters realised what the unnamed had done. A cheer went up from the pavilion. Silence befell the fielders, except for a creak as The Digger negotiated the fence and set off on a mission to retrieve the ball. Ruefully The Yubsters congratulated the boys of Bidford who had beaten them at their own game. A nail-biting finish and a victory achieved by an improbably MAXimum. Of course every game is like this in CliMAX, though not every game would finish in defeat. Yubby are at home surrounded by fields of arable and clearly found it disconcerting to have sheep bleating incessantly at their every mistake. First The Face of CliMAX missed a straight one and then The CliMAX-Kid guided one to the hands of square leg at Exhall on Saturday. With the score two wickets down for one run, the locals (lambs) gambolled joyfully whilst the ewes grazed in preparation for a truly memorably milky tea between innings. However Super Soppy Sippy and ‘Shiner’ Spenny were determined to spoil the tea party and played with rare determination. Runs were not forthcoming but the flow of wickets was stemmed. Wicket taker Goldy continued to probe a line and length whist the luckless Burgess passed the outside edge repeated with prodigious swing. Only 36 runs were found off the first 14 overs, but a change in bowling helped Yubby find some tempo. Sippy started to pepper the boundary,which he crossed eight times, then brought up an excellent half century with a MAXimum, before being stranded two paces out of his ground at the non-strikers end when Spenny hit firmly back to slingy Saunders who could not stop the bullet, but did succeed in deflecting it onto the stumps. “That just about sums this season up,” Sippy was heard to moan on the way back to the hutch. Nevertheless his efforts with Shiner had accumulated 99 runs and Yubby were much more comfortable at half way than they might have been. Shiner look set for his half century, but went back to a straight one from Saunders and the ball got trapped momentarily between bat and pads. Saunders lodged a vociferous appeal with umpire John Bunny Baldwin, and as the flock took stock, Shiner practiced going forward a couple of times and then with Shiner's back to him, Bunny lifted his digit skyward. “You’re out, mate” politely explained Holder the Exhall and Wixford wicky. “Baa-Baa” agreed the crowd. Nothing gets a flock of sheep going like a collapse and Yubby provided one in style. From Shiner's dismissal on 46, Yubby lost their middle order for a further 16 and when G-odd joined Crossy, Yubby were tottering on 138 for 7 with 14 overs to go. Eating up the overs was a priority over eating up ham, cheese, cakes and fruit salad and the pair batted with unusual restraint and luck. Crossy saw it through to the 40th over and contributed an import 19, including a livestock endangering MAXimum from a life endangering beamer from Goldy. Now the 4th bonus point was in sight and Sixfer and G-odd milked the tiring Exhall attack for another 30 runs to bring up the 200 off the penultimate ball. G-odd attempted to run a bye on the last ball which went straight to the Wixford wicky and with the bails off in a flash, he was reminded that at 50 years of age he can neither run as fast as Usain Bolt or walk on water, figuratively speaking. The lambs suckled and Rhino tucked into cakes and buns, whilst G-odd began plotting the downfall of the Exhall batting line up. Yubby were to try blitzing them out with pace, but when this seemed to be failing they were gifted with a run-out. Brereton got off the mark and then went for a second as the ball, The Face and The Kid all raced off towards the sheep. The Face pulled it back before the boundary and linked with The Kid whose throw was adequate for Sippy to come down on the stumps whilst Brereton was still making his way up the Exhall precipice. G-odd rarely lets any batters settle, let alone his own bowlers and quickly The Kid and Hicksy-Lix were rejected in favour of Skeletor and Crossy. With his third appeal, Skeletor found favour and Gill was given out having played round a slower ball. Sixfer found himself at short third man and the ball found Sixfer’s safe hands there when Crossy found the edge of driving Donkin. So far only opener Goldy threatened with the bat, but on 28 he thought he could put Skeletor out of the park, but only succeeded in lofting it to The Kid at mid-on. Next, with Skeletor following through rapidly down the steep hill, Rogers smashed a straight low drive back at the bowler. The ball stuck in Skeletor grasp like iron filings to a magnet and the batter could only offer a wry smile as he turned back towards the pavilion. With half the wickets down, the quietened lambs were sent into a frenzy, now getting their wish for U-maaa….U-maaa to bowl. The Face with Golden Arm tried his luck as well, but it had run out. Umar Aslam provided the control G-odd was wanting and his 7 overs went for a miserly 15, eventually picking up a wicket stumped by Sippy as Clayton was drawn out of his ground. The CliMAX-Kid was given another chance and this time was supported by attacking fields. Burgess flung the bat and the ball flew off the edge high above the slip cordon. It came down with Father G-odd’s name on it. The catch was taken and then another this time by Shiner. Sixfer picked one up after making the sheep scurry out of his way when retrieving a ball from the field – apparently his reputation has reached Exhall livestock already? Then in the 35th over with Exhall on 111, The Face dived forward to scoop up a low catch giving Skeletor his fourth wicket and Yubby a 90 run victory. Yubby back on winning ways took 24 points from this victory. Duckie won the toss for Yubby and elected to bat on a worn pitch at Manor Rd, Ebrington. He also made an inspired choice to replace The CliMAX-Kid with The Face, though the form of The Face was nothing short of abysmal. It was not surprise when The Face played and missed repeatedly to opening bowlers Clist and Weston of Marshfield. What was a surprise was that the edge was avoided. Super Sopper Sippy was more fluid and single handed took the opening partnership to a respectable 26 before being caught off Weston. Spenny did not trouble the scorers, but Duckie combined well with The Face to take the score to 96 before his paddle spooned up to the leaping fine leg. By now The Face was finding his range and with 3 MAXima and 3 fours he took his score passed 50 before falling to crafty old spinner Bill Johnson. Now Yubby had their two big hitters together: Beefy Roid and Hicksy-Lix. With just 10 overs left and the score on 110, Beefy knew what was required but it took an insult from Creed to get the testosterone boiling in his veins. He hit him for one MAXimum that fell on yards short of Paxford and with two more to his name he had scored 42 from 28 deliveries before the calmer spin bowler Johnson contrived his downfall. 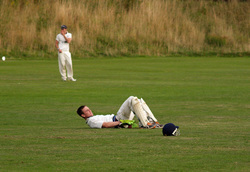 Lix was out to a stunning diving catch the last five overs could only muster 14 runs. Yubby’s grand total of 174 for 9 was not one to inspire confidence though they knew the pitch offered some help to the bowler who consistently found a line and length. Nevertheless that skill was one with which the Yubby bowlers had been struggling during 2013 and so it was with some surprise that Skeletor and Hicksy-Lix settled into a nice groove after partaking of some very pleasant cakes. Skeletor then found the deadly short, slow and wide one, but it was not wide enough to miss, much to the regret of Milner who departed for a stylish 4. Hicks-Lix bowled Beefy’s friend and then combined with Sippy for two wickets caught behind. With the score 22 for 4 from eight overs Beefy replaced Skeletor (some meat on the bones, perhaps). Bowling a heavy ball with discernible swing, Marshfield could barely lay a bat on it. Maidens followed and when they did not, wickets fell. Beefy had the priceless figures of 7 overs, 2 maidens, 3 wickets for 9 runs. 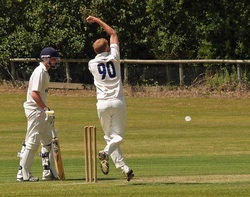 Crossy had bowled from the Paxford end and maintained the pressure on the Marshfield middle order, but was unlucky to go wicket-less. The Face with the golden arm, could not control the swing and bowled a eleven ball over with no runs from the bat. Disgusted Duckie turned back to Skeletor and Hicksy-Lix. After Skeletor had McKenzie caught at mid-off by Spenny, it took just one ball for Lix to wrap things up. Hicksy-Lix had produced the phenomenal figures of 8.1 overs 2 maidens, 5 wickets for 18 and Marshfield had been skittled out for 78 with Super Sopper Sippy snaffling 4 catches. The 96 run victory take Yubby to Painswick for the 3rd round on Sunday 2nd June. As in 2012, Ebrington were drawn against Coarse and Staunton in the National Village Cup, but this time they had home advantage. In 2012 Ebrington narrowly failed to chase down 240 despite heroics of the young Beefy Groves and so were out for sweet revenge if possible. The sun shone warmly as Ebrington began their 40 overs with Sippy and The CliMAX-Kid at the crease. With 45 runs on the board Sippy edged and was well taken at gully to bring in Duckie. A productive partnership of 130 followed at a run a ball until Duckie was caught from the orthodox spin bowling of Morton for 52. Spenny was next to provide good support to The Kid scoring a rapid 25, but when the The CliMAX-Kid came to an end with his personal total on 126, it was left to Hicksy-Lix to steer Yubby to a final total of 263 for 6. Coarse opener Turner was more circumspect than in 2012 and this time lost his opening partner quickly LBW to Hicksy-Lix for a duck. Lix and The Kid bowled economical opening spells and Skeletor reaped the rewards as first Turner drove to cover with enough loft for Duckie to scoop up an excellent catch and then Morton played a loose shot outside off giving a straight forward catch to Sippy behind the stumps. Further wickets fell to The Face (2), Beefy and a direct hit thrown from the outfield by Duckie and the required run rate climbed to around 10 an over for the last 15. Garlick was joined by Wyatt when the 7th wicket went down and the pair knew desperate measures were required. The swung and heaved at the Yubby bowling and generally sent the ball disappearing out of the park. The CliMAX-Kid brought himself and Hicksy-Lix back on and succeeding in removing Wyatt for 33 and creating havoc to produce a run-out with the score on 208 for 9. Now The Kids ace cards had bowled out their 9 overs and he had to turn back to stiffening Skeletor and Beefy. Garlick twice deposited Skeletor’s deliveries through Flighty-Keyty’s car and reduced the needed score to just 12 from 2 overs. Six dropped catches by Yubby in this torrid final ten overs and now they looked to have thrown a match away that they had dominated for 65 overs. Undeterred Beefy charged in for one final over, Garlick again smashed a drive, it flew towards the pavilion. The Face dashed in from the distant boundary, and somehow caught sight of the ball in the fierce low setting sun, pulled up his hands and with relief found the ball sticking between them. Yubby had snatched the match back from the brave Coarse. Though the game had not gone all the way to the wire, it was certainly a thriller and taught the Yubby cricketers that they can take nothing for granted. They will hope to field and bowl better in the next round against Marshfield on Sunday 19 May also to be played on the Manor Road ground. Yubby continued their winning ways on Saturday 4 May in the league opener at Manor Road against FISSC, but did not have it all their own way with a powerful looking batting line up inserted and reduced to 65 for 5. Then came a masterstroke: playing his first game in five years, Tim Peachey was given the enormous responsibility of batting at 7. At first he took his time to play himself in whilst given valuable support to Spenny who had been unmoved whilst the middle order fell like a pack of cards. Spenny, accelerating to 39 hitting his second MAXimum before falling to an extraordinary catch at short extra cover to a shot that appeared to have been nailed on the back foot. Now Peachey had the tail to shepherd. And, oh how well he did it! He added 50 runs whilst Skeletor, Makin and Rhino tried stoically to occupy the crease. Each put on at least 20 with Peachey and with the score on 148 Glover bowled a third fast straight one and castled the Yubby Bomber. Yubby ate tea quietly knowing they had underperformed, but aware of occasional demons in a pitch that might give them a chance. FISSC satisfied with a good session relaxed in the knowledge they had picked up seven extra overs to knock off a low total on a small ground. Yubby's concerns grew as The CliMAX-Kid was in obvious agony bowling his first delivery. He limped back to his mark but nevertheless bowled on at pace. This was too hot to handle for Kemp who was soon back in the dressing room, though not as soon as the first Stokes who nicked one from Hicksy-Lix, which was snaffled by Super Sopper Sippy diving to his left. This brought together Glover and Richard Stokes. They drove unchecked and it was the introduction of Skeletor from the Manor Road end that was required to end the onslaught. Struggling to find any rhythm the veteran varied his pace outrageously and had Glover misjudging a slow one in front of all three and given out leg before wicket for 30 by Pee Pee. Job done the osteoportic Skeletor went out to graze in the covers putting the onus back on The CliMAX-Kid who duly obliged with the wicket of Malcolm for 21, but neither he or the accurate Hicks-Lix could remove dangerman Stokes. His scored had raced to 40 when G-odd gambled with his own bony all-sorts for a second time. The field was spread to allow Stokes off strike, but Stokes appeared to eye up the more distant fields than easy singles as he pulled violently. But with CliMAX experience The Skeletor is used to players thinking about MAXing (or is the verb MAXicating) from his bowling and stayed calm to induce a top edge that was accepted safely by Peachey at mid-wicket. The game was now in the balance; less than 30 runs were needed by FISSC in as many overs and still five wickets stood between Yubby and victory. Come forth Collins! The Face of CliMAX took much of the pace of the ball and induced a series of false shots from tentative batters. Catches popped up to Super keeper Soppy Sippy, Hicks-Lix, Skeletor and himself. With incredible figures of 4 for 4 off just two overs there was nothing for it but for The Face to be taken off and Hicks-Lix to come back for the last wicket. Ruthless captaincy from G-odd or was he "just having a laugh?" Yubby bag 19 points and FISSC take 7 form a game in which they appeared on top most of the time. Winchcome are next on Yubby's league fixture card.